The Toy Fox Terrier is known to be a jack of all trades. Throughout this breed’s history, they have successfully taken on many different roles. Whether it be hunting squirrels or starring in a show ring, these dogs could do it all. Originating in England back in the 16th century, the Toy Fox Terrier served as an excellent ratter and small game hunter. Although the Toy Fox Terrier and its larger Smooth Fox Terrier were considered the same, the breeds were finally separated from one another in 2003. Loyal yet lively, the Toy Fox Terrier is an affectionate pet that thrives on human companionship. Because of their strong devotion to their owners and their suspicion towards strangers, these canines serve as excellent watchdogs and will alert their owner at the very first sign of an intruder. Just like all terriers, the Toy Fox Terrier is fearless for their size, but they also enjoy being around people. At the end of the day, these pups are happiest when they are treated as a member of the family. As long as you start the process early, you should have no issues training your Toy Fox Terrier. However, with that being said, remember that majority of terriers are known to have a stubborn side as well. That means if they are not properly trained from a young age they may be more difficult to train. It is also important to socialize your dog with different people, places, sounds, and experiences while he is still a puppy. 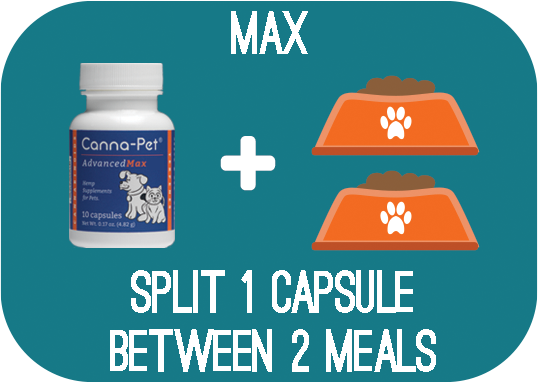 This will help to ensure that your dog develops into well-behaved and trained pup later on in life. Although the Toy Fox Terrier is a small breed, they still require daily exercise. A quick walk around the block or a little play time in the backyard will be plenty for these peppy companions. They also enjoy participating in a variety of activities such as obedience and agility training. The average lifespan of the Toy Fox Terrier is between 12 to 14 years. The Toy Fox Terrier has gained little popularity in the United States since they were officially recognized in 2003. As of today, these dogs are ranked as the 116th most popular breed in the U.S. by the American Kennel Club out of 202 registered breeds. When choosing what dog food you are going to buy, make sure to look for one that contains nutritious and healthy ingredients. Try to stay away from any food products that contain preservatives or fillers. As a general rule of thumb, the Toy Fox Terrier should consume between ¼ to ½ of high-quality food, split into two equal meals. The short, soft coat of the Toy Fox Terrier is known to be fairly easy to maintain. It is always recommended to brush their coat at least once a week to keep it clean and free of debris. Aside from their regular coat grooming practices, make sure to brush this breeds teeth at least once a week to avoid dental disease from forming. It is also advised to trim their nails every couple of weeks to prevent cracking. Are Toy Fox Terriers Good With Kids? The care-free and fun personality of the Toy Fox Terrier pairs great with children; however, these children should at least be 6 years of age. These Terriers are very small dogs and can easily be injured by a rambunctious toddler. Make sure a parent is always around to supervise any interactions between a dog and child. Von Willebrand’s Disease: This disease is a blood clotting disorder that occurs in many breeds. Symptoms of Von Willebrand’s Disease in dogs usually include abnormal and excessive bleeding. This disease can be life-threatening in severe cases. Mange: Mange in dogs is a skin infection caused by mites. There are two strains of mange and they both require different treatment plans once the dog is properly diagnosed. Patellar Luxation: Patellar Luxation in dogs occurs when the kneecap becomes dislocated from its normal positioning. Once this happens, a dog may experience pain or lameness in their legs. Rescue: Toy Fox Terrier Rescue, Inc.